Synthesizers, samplers, drum machine, REX file loop player, professional mastering tools, mixer, vocoder, world class effects, pattern sequencer and more. As many of each as your computer can handle. 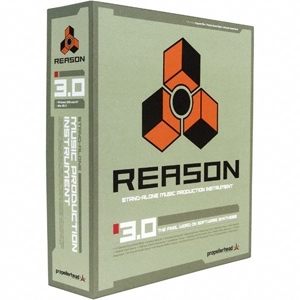 Reason is an infinitely expandable music workstation on a CD-ROM, complete with its own realtime sequencer. Record automation on multiple tracks. Copy automation between lanes and tracks in the sequencer. New and improved Mute and Solo features in sequencer. Faster loading of samples. Sample playing devices now load five times faster. Improved sample playback timing and quality.